When GNB performed Brochevarevarura, Mysore Vasudevacharya is supposed to have remarked, “my modest little girl has been bedecked with finery and transformed into a princess”. 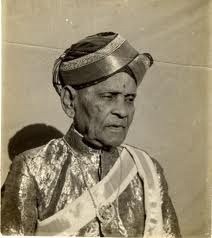 I don’t think I narrate the anecdote nearly as well as the post I read it off Rasikas.org, but hey – Mysore Vasudevachar’s compositions are par excellence and ought to be performed more often. I read that story somewhere too! I found this good link to all of Mysore Vasudevachar’s compositions. I plan to look through the list and see if I can find some performances of the ones I havent heard.. Meaning: I can’t leave your feet, Oh treasure of mercy.Oh,the oen who is worshipped by the great ones starting from Brahma,why are you so aloof?My diction is inadequate even to praise and sing your story.I am in such a poor state.Plaease clear my worries and grant my wishes and save me.Oh lord of Sita, don’t you have affection towards me? Oh, the one whose feet are worshipped by Hanuman,why don’t you listen to my lamentation?Are not you the Vishnu who gloriouslysaved the elephant King?Cleansing me all my sins,and without leaving it,holding my hand firmly, who will save me,other than you? Thank you for visiting my site. I have already provided a link for the lyrics in the body of the post, if you have noted. Hi Sasi, Thanks for your comment. I have been meaning to re-write the post with word-for-word translation, I shall do so soon. Whenever I listen to this song I feel like I am touching the lord Rama’s foot what a lyric “seetapathi na pai niku abhimanamu leda”.how dis idea came to the poet hatsoff may be I think so I will leave my last breath hearing dis song. Really my favourite forever can’t stop the tears whenever I listen to dis song if I got any trouble I will hear this song I will be peaceful. Indeed it is a very touching song! Everything is perfect in this song..the words, the sentiment, the raga, the melody..it all fits so perfectly!